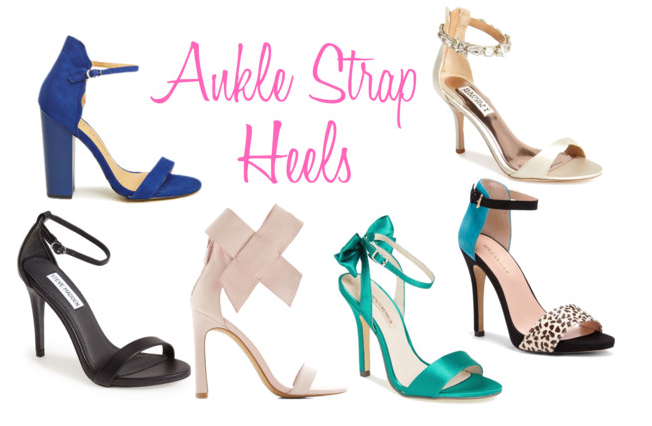 I don't even know what the technical term for these heels are called but I always just called them "ankle strap heels" so let's go with it! haha. I'm sure you've seen them on every fashionista and they seem to be a trend that's here to stay for a while. Although they're ridiculously painful, they easily go with every outfit and looks so delicate and feminine! Totally worth the pain! Oh my gosh, those leopard + blue ones are GORGEOUS! I thought so too! Thanks for checking out the post Chelsea!